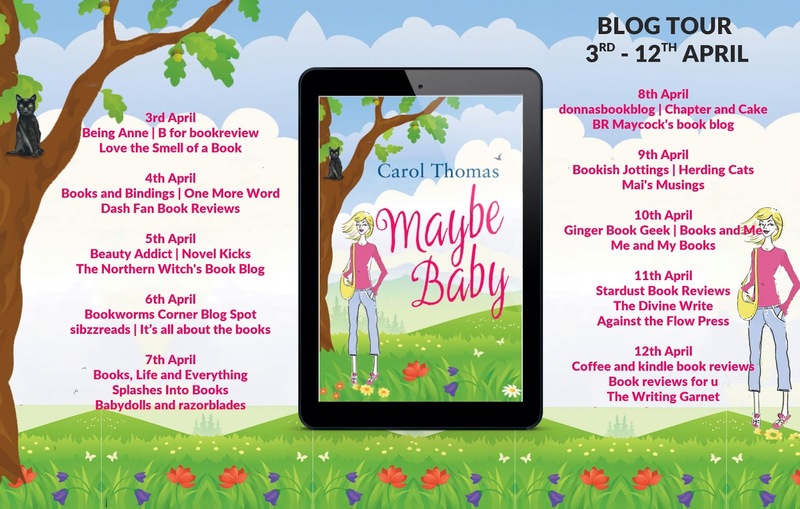 Extremely excited to be the latest stop on the Maybe Baby Blog Tour today! My thanks to the author, publisher and Rachel of Rachel's Random Resources for letting me be part of it all! Here's all you need to know about the book! Carol Thomas lives on the south coast of England with her husband, four children and lively young Labrador. 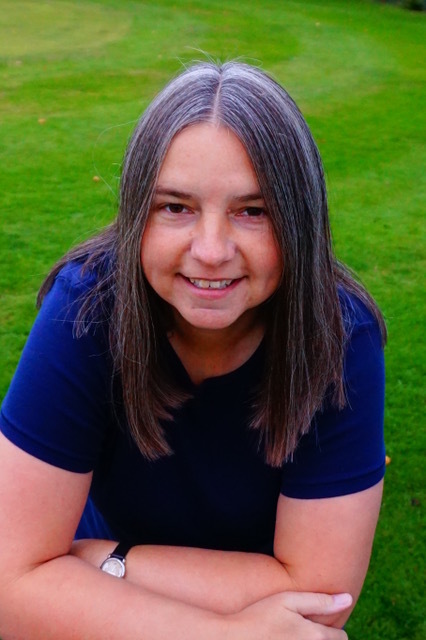 She has been a playgroup supervisor and taught in primary schools for over fifteen years, before dedicating more of her time to writing. Carol is a regular volunteer at her local Cancer Research UK shop. She has a passion for reading, writing and people watching and can often be found loitering in local cafes working on her next book. 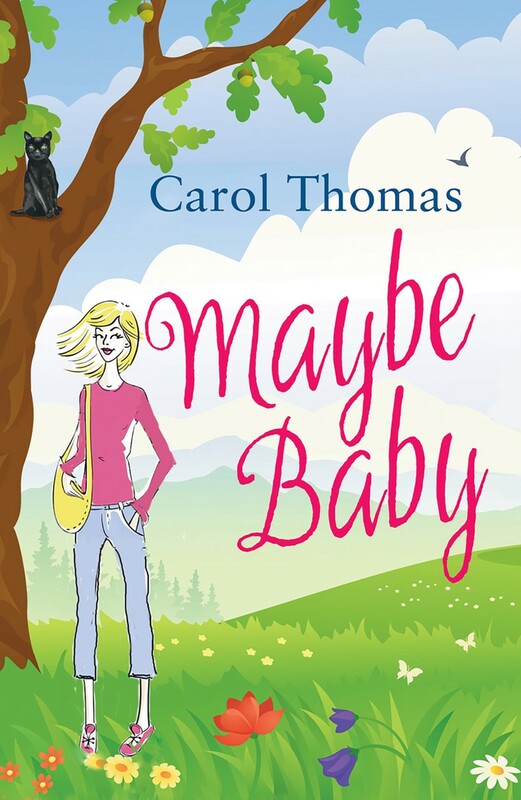 Carol writes contemporary romance novels, with relatable heroines whose stories are layered with emotion, sprinkled with laughter and topped with irresistible male leads. Having loved the first book in this series - THE PURRFECT PET SITTER - I have been eagerly awaiting the latest installment and it's been a real delight to revisit the wonderful characters again and to see what life throws their way this time! Don't worry if you haven't read the first book thought, as this is very easy to read as a standalone! Lisa and Felicity are best friends and life seems to be going smoothly for them both - or is it?! Felicity is married with 3 children and has an idyllic relationship with Pete, but that could be about to change when his mum needs to move in to recooperate! 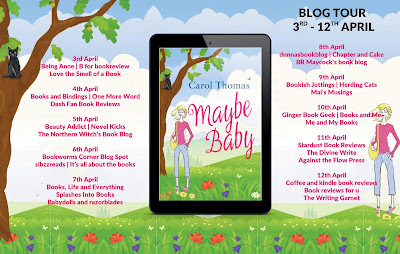 Felicity has finds herself dealing with some unexpected stress in her life personally so it all begins to feel a little too much for her and as she tries to get fit for her first 5k run things may be getting a little too much! Lisa on the other hand is beginning a new relationship but still has trust issues after past relationships and not helped by a friend of Nathan's who seems determined to thwart him moving on with Lisa. In amongst the chaos of her love life, she's also dealing with her pet sitting business which always makes for extremely funny situations she finds herself in when dealing with crazy animal antics and chaotic households she visits! This book really mixes the fun with the more serious sides to life so well and gives such a great balanced read that always leaves you wanting more! Felicity and Lisa are 2 women you instantly warm to, and can empathise with their dilemmas and insecurities and it was a gratifying and cheerful read - and I'm already itching to get my hands on the next installment - if there is to be one! !